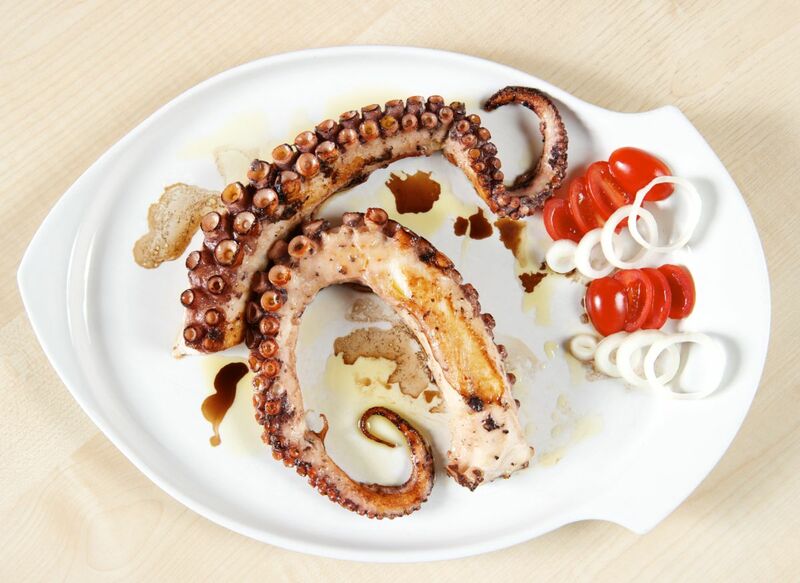 In our taverna we serve you fresh, contemporary and aromatic Greek specialities. 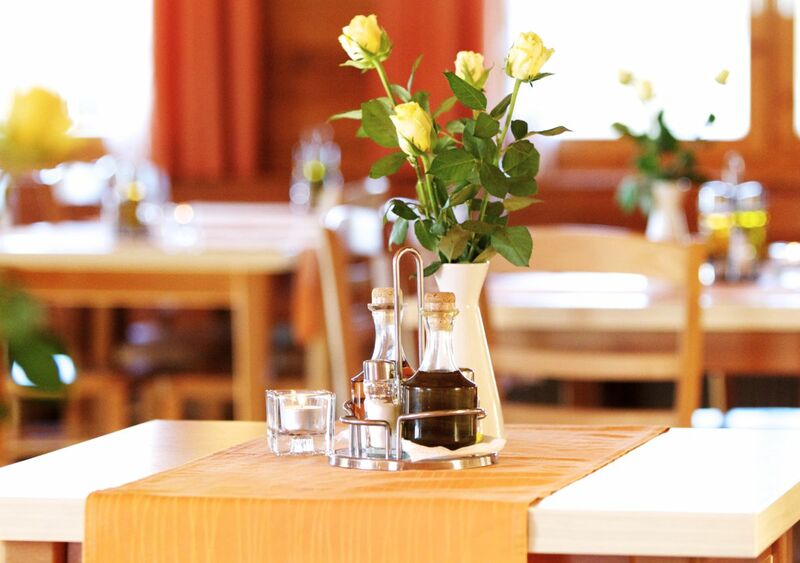 You can enjoy your meal in comfort in a peaceful location in the heart of Munich. 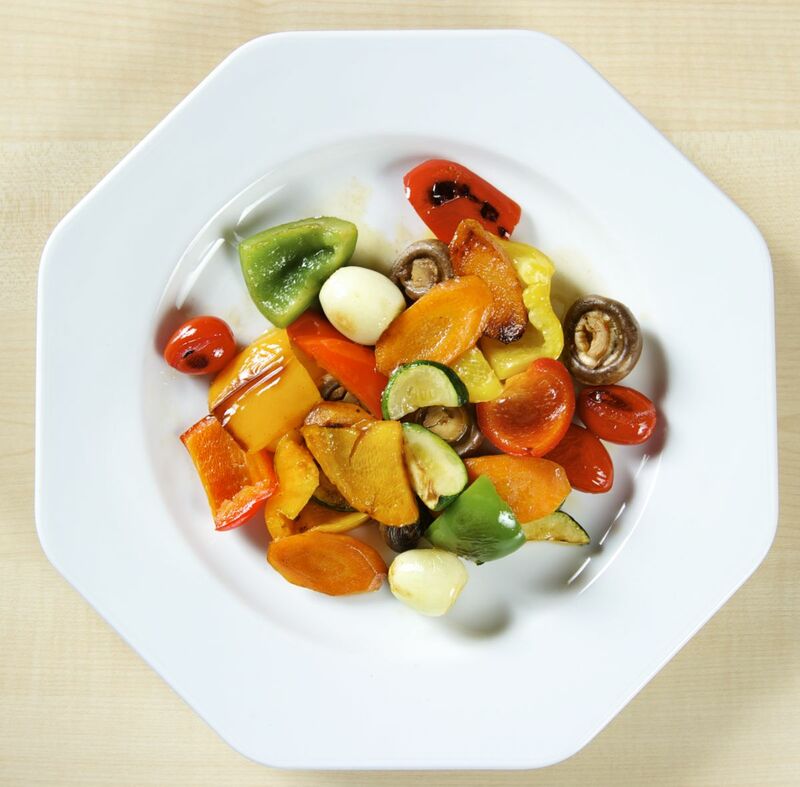 Have a look through our menu and stimulate your taste buds. Alongside our comprehensive À la Carte menu we have regularly changing Daily Specials. If you like variety then choose mixed cold or warm appetisers from our menu. As a special tip we recommend our our homemade tsatsiki prepared in the traditional way with yoghurt, cucumber, olive oil and garlic. Mezedes is an important part of Greek food culture. They are small plates of appetisers, finger food or snacks, and they can also be enjoyed as an alternative to a main course. 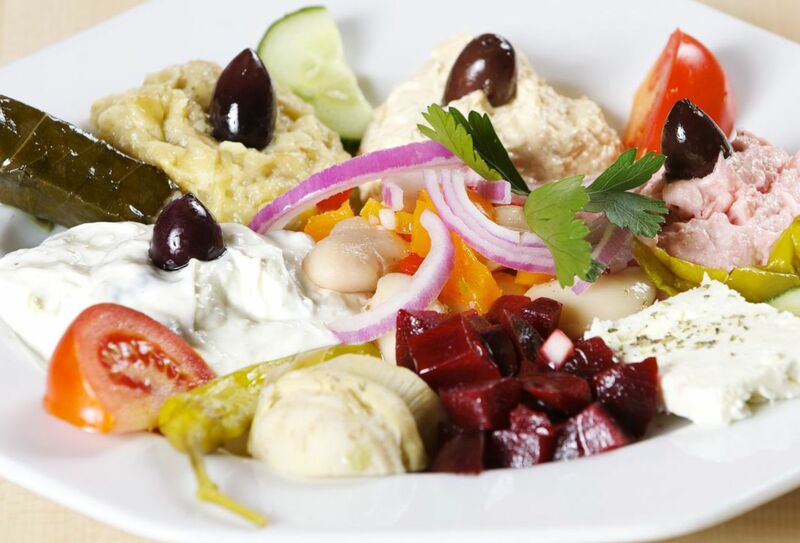 We will spoil you with our homemade Mezedes which you can enjoy in our warm and friendly atmosphere. Home made gyros is a classic greek dish, Gyros is an upright spit prepared and layered up freshly each day. We use the finest pork, sliced and seasoned with fresh aromatic herbs like thyme and oregano and built up in layers on the gyros spit. If you like variety then choose from our menu the Christoteller, Mixteller or Grillteller (Christo selection, Mixed selection or Grill selection) consisting of various varieties of meat and plenty of tasty sidedishes. On our menu you will find also traditional tasty lamb dishes, the mainstay of mediterranean cuisine. 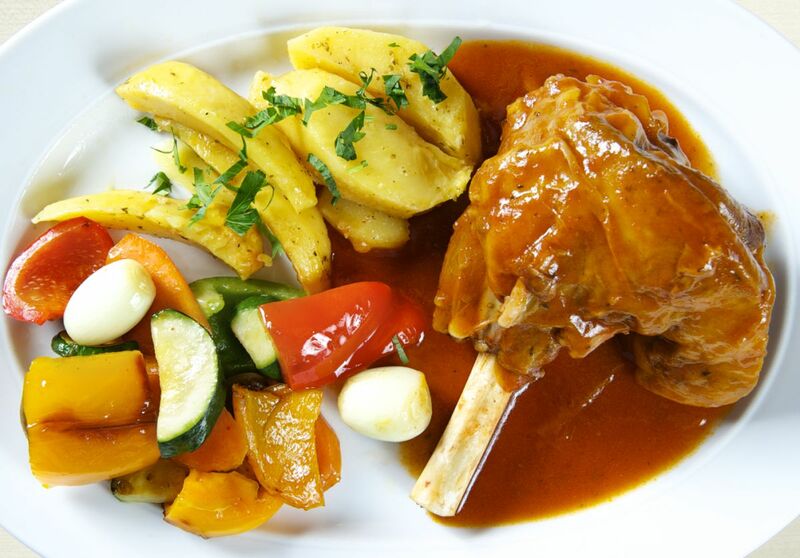 Classic lamb dishes include Kokkinisto, a slow braised tender lamb shank, with tomato, fresh vegetables, spices and extra virgin olive oil. A greek tavern in the centre of Munich and yet still in a peaceful location. 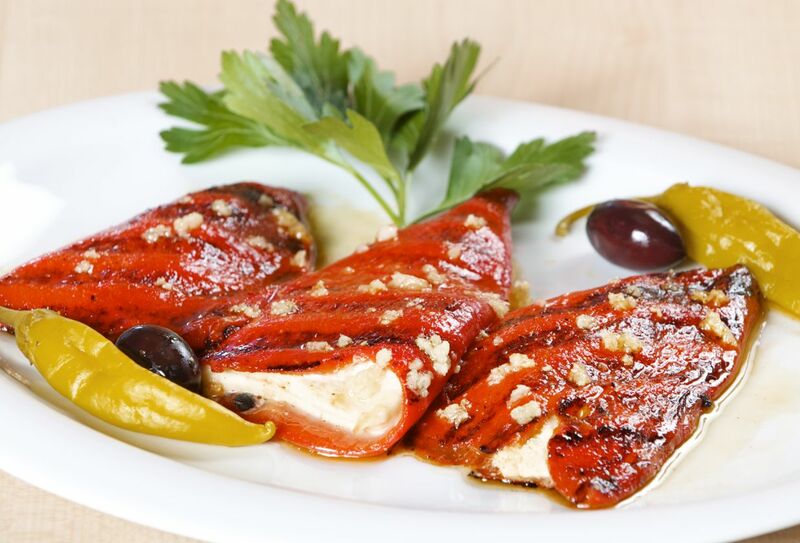 We will spoil you with freshly prepared greek specialities and other homemade delights. Here we cook everything with love!